See your name in lights with the Scrabble Tile Light – a mix and match letter light that enables you to create your own messages in classic Scrabble tiles! A stunning light based on the classic word game, the Scrabble Tile Light features 7x light up Scrabble tiles that illuminate once placed on the Scrabble tile rack. The light also includes 60x different mix and match reusable letter stickers, meaning you can make your own name or personalized message in inimitable Scrabble style, then see it light up when the tiles are placed on the base. 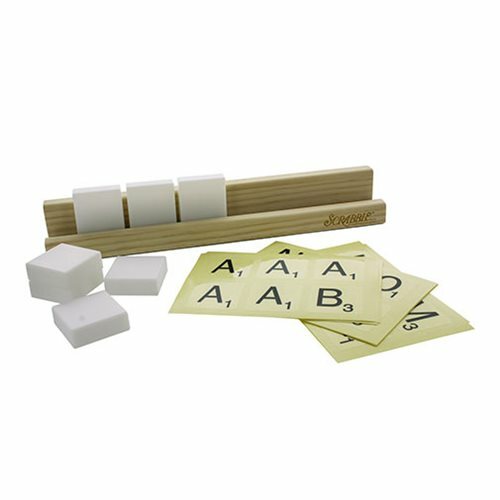 Each letter sticker has the design of a classic Scrabble tile, even including the correct points allocation in the bottom right corner making it a great gift for fans of the popular word game. The Scrabble Tile Light makes a great gift for the home that's sure to earn you a triple point bonus this year!